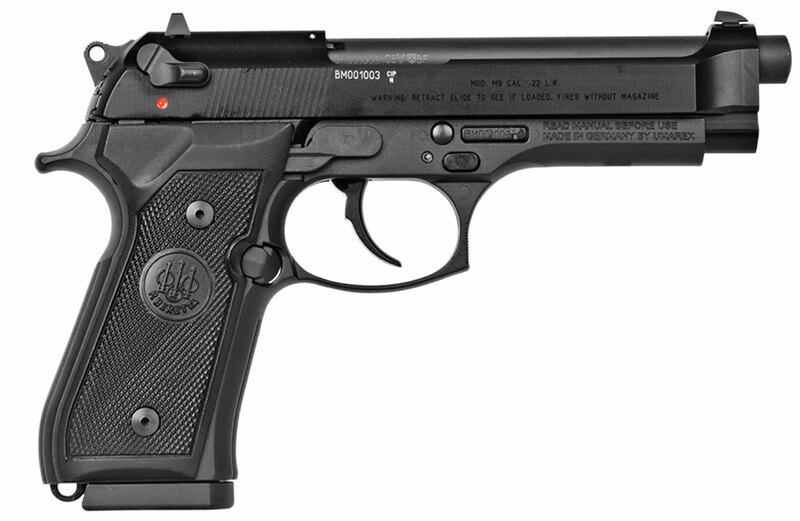 Beretta's M9-22 is an exact replica of the M9 in .22 caliber and features the same operation, controls and takedown as the venerable Beretta M9. M9-22 features removable sights, interchangeable grip panels. Beretta's Bruniton finish with military-style markings is highly resistant to sweat and corrosion, and a tool-free disassembly latch makes it simple and quick to take the pistol apart for cleaning. This semi-auto pistol has a reversible magazine release and an ambidextrous safety/decocker making it suitable for right- or left-handed shooters. Included is a Mil-Std 1913 Picatinny Rail for mounting lights and lasers.